Kanopy offers a robust collection of classic and contemporary films from around the world. You’ll find a mix of indie flicks, recent contemporary films, classics from the beloved Criterion Collection, and even The Great Courses series. Think of it like a more thoughtfully-curated version of Netflix. Like other streaming services, Kanopy’s collection is updated frequently, so check back often to see what’s new. 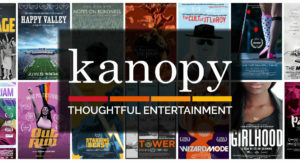 In addition, films on Kanopy can be streamed from a computer, an android or Apple mobile device, or cast onto your TV with Chromecast, Apple TV, or the Kanopy app for Roku. For help setting up Kanopy on any of these devices, check Kanopy’s FAQ page here. WLS generously offers its patrons 10 Kanopy play credits per month. (1 play credit= 1 film.) Play credits reset on the first of each month. Note that once you begin a film, you’ll have three days to watch it as many times as you wish without using additional play credits. How Do You Use Kanopy and Sign-Up for An Account? Enter your e-mail address and create a password for your new Kanopy account. Note that once you create an account, you will not need to sign-up again. An e-mail verification code will be sent to your e-mail address. Open your e-mail inbox and click the “Verify Your E-mail” button. You will now be led to a page asking you to enter your library card number. 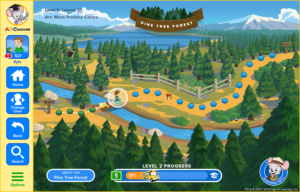 Press “add library card” and enter your library card number and PIN. Your PIN is usually the last four digits of your phone number. Once logged in, you will see how many play credits you have remaining for the month in the top right corner of any page on Kanopy’s website. While Kanopy’s homepage features many films of interest, you can also search for specific films in the search bar, or browse by genre and country. 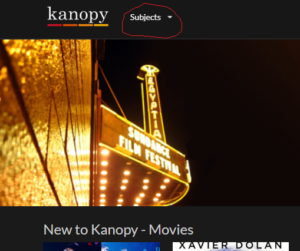 To browse by genre or country, find the word “subjects” on the top left corner of Kanopy’s homepage. Hold your mouse over “subjects,” and a drop down menu will appear. Once you find a film you like and press “play” on it, you will use a play credit. You’ll have three days to watch that film as many times as you wish without using additional play credits. Hoopla- Streaming Audiobooks, Music, E-Books, Movies, TV Shows and More! 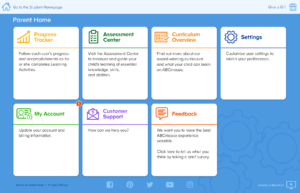 What Is Hoopla? How does it differ from other services like Overdrive? Hoopla has a collection of nearly half a million titles across six categories: Movies, TV, Music Albums, Audiobooks, eBooks, and Comics/Graphic novels. Unlike Overdrive, there are never any holds or waiting lists! Every item you see listed is available for you to check out. Patrons can check out 5 titles per month total. 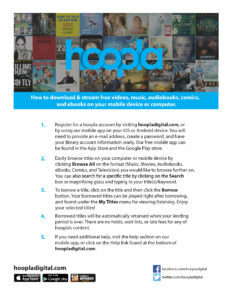 How do I get started on Hoopla? 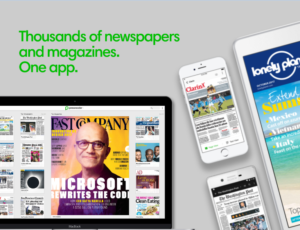 On PressReader, you can read full digital issues of thousands of top newspapers and magazines from all over the world, just as they appear in print. Above all, it’s free! 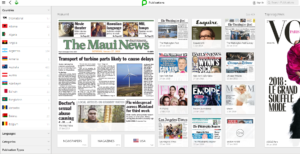 How do I log into PressReader? You will then be asked to enter your library card number and PIN. Your PIN is usually the last 4 digits of your phone number. Once you enter your log-in information, you will be taken to PressReader’s homescreen. To find a specific publication or to browse, notice the sidebar on the left side of the screen. Freegal- Free & Legal Downloadable Music! What is Freegal? Do I really get to keep the songs? Freegal is a downloadable music service that the Westchester Library System subscribes to. 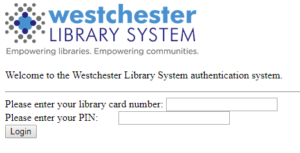 All you need to access the service is your Westchester Library card. You do not need any special software to use the service and all songs are in MP3 format with no Digital Rights Management (DRM). And yes, unlike other services, you actually get to keep what you download forever! You can transfer the songs to an unlimited amount of devices or even burn the music to a CD. Freegal is also a streaming service. Your card allows you to stream up to 3 hours of music per day for free. When you stream a song, it is not downloaded; instead, you listen to it over the internet. What kind of music is available on Freegal? Freegal provides access to the Sony Music Entertainment catalogue. There are hundreds of thousands of songs, in over 100 genres of music, and more than 50 record labels. The content is based upon an agreement with Sony Music Entertainment, owner of many different music labels. Sony owns most of your favorite current artists (the ones you hear on the radio,) as well as older favorites like Johnny Cash, Earth, Wind & Fire & Journey. Once you log into the Freegal Music website, you can browse or search for your favorite artists or songs. The navigation across the top of the page allows you to browse by genre or news articles. You can also use the quick search tool on the Home page to search by keyword in the artist or composer name, song or album title. Expanded search options are available under the advanced search. Each library patron is entitled to 5 downloads per week & 3 hours of music streaming per day. The download quota refreshes every Monday. Be sure to also check out Hoopla Digital for more music options. See the “movies” tab for more info. 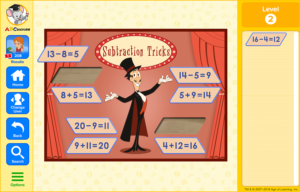 Overdrive is an online library of thousands of e-books and audiobooks. 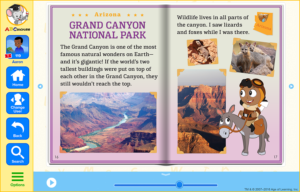 Titles are downloadable to your Kindle or other similar e-readers and e-reading apps. You can also access these collections any time of day; even if the library is closed! Similar to using the physical library, Overdrive titles can be checked out for 2 or 3 week periods. If a title is unavailable, the user can place a hold for it and be notified when the e-copy is available again. The best part, however, is that Overdrive titles return themselves automatically. This means there are never overdue/late fees! 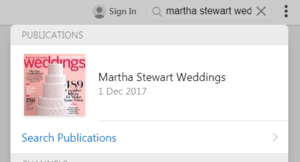 Either browse Overdrive on your computer, or download the Libby app to browse on-the-go. Where can I view Overdrive's collections and log-in? 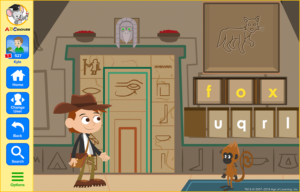 Total BooX lets WLS patrons read, share and discover books with no restrictions, no waiting lists and no tokens. Dreams really do come true! 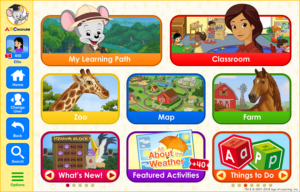 What does ABC Mouse Look Like?